Buying a house in Denver raises some “Mile High” questions. Should you live in Jefferson Park so Broncos games are just a hop, skip and a jump away, or Stapleton so getting to Denver International Airport is a breeze? Should you buy new construction or an existing house? And most importantly, which Denver mortgage lender should you choose? While you’re contemplating the best neighborhood or type of house, NerdWallet compared Denver’s leading mortgage lenders — big national brands along with smaller hometown options — to identify the best ones for a variety of borrower preferences. These Denver mortgage lenders have been reviewed by NerdWallet and are among the city’s highest-volume mortgage companies, according to the latest available data. The following lenders have not been reviewed by NerdWallet. However, these companies originated a significant number of mortgages in Denver and are popular among the city’s home loan shoppers. Check them out if you want to include some local options in your search for a mortgage lender. Offers Colorado first-time home buyer (CHFA) loans and down payment assistance. Has a bank statement loan program for self-employed borrowers. Has only one branch located in Aurora, Colorado. Offers specialty loans for first-time home buyers, Native Americans and union members. Finances new construction and renovations. Has more than 20 branch locations in Colorado. Does not require personal information for customized rate quotes online. Offers first-time home buyer loans with low closing costs and down payment assistance. Offers construction and lot loans. Has many branch locations throughout Colorado. Offers a wide variety of loans, including FHA, VA, USDA and jumbo. Has a no-closing-cost option for conforming loans. Displays interest rates online for all its mortgage products, but they’re not customized. Has more than a dozen branch locations in Colorado. Flagstar Bank: Best for first-time home buyers. 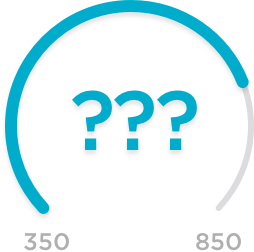 LoanDepot: Best for an online mortgage experience. Guaranteed Rate: Best for an online mortgage experience. Caliber Home Loans: Best for veterans. Quicken Loans: Best nonbank option. 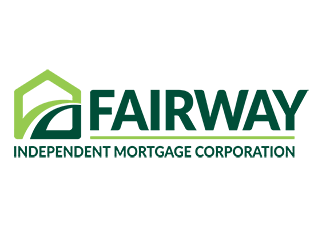 Fairway Independent Mortgage: Best nonbank option. Bank of America: Best for existing customers. Chase Mortgage: Best for existing customers. American Financing: Top local mortgage lender in Denver. Cherry Creek Mortgage: Top local mortgage lender in Denver. FirstBank: Top local mortgage lender in Denver. Elevations Credit Union: Top local mortgage lender in Denver.